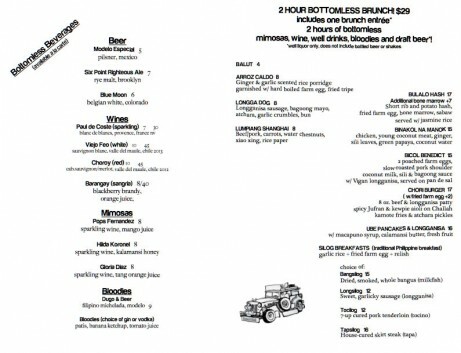 Filipino gastropub, Jeepney, has introduced a bottomless brunch on weekends 2 hours of booze and an entree for $29. I’m big fan of Jeepney (as well as it’s sister restaurant, Maharlika) and I do love to get drunk, so this is a nice addition. 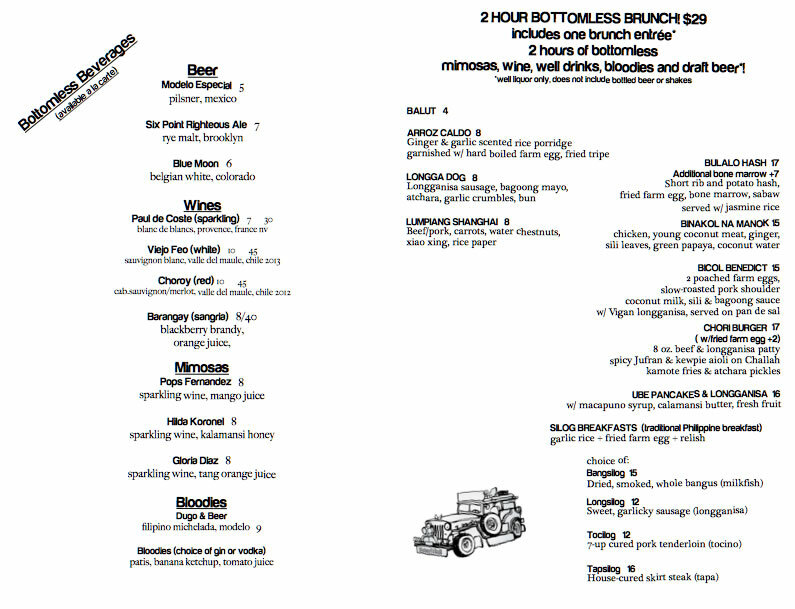 It seems like a lot of East Village restaurants are offering bottomless brunch options: Idle Hands, Poco & Virage are but a few. There’s a pretty decent Yelp list here. Jeepney: 201 1st Avenue at 12th street.